WASHINGTON — A high school near Falls Church, Virginia, will get a new name by the end of this month. The school board will vote on the new name of J.E.B. 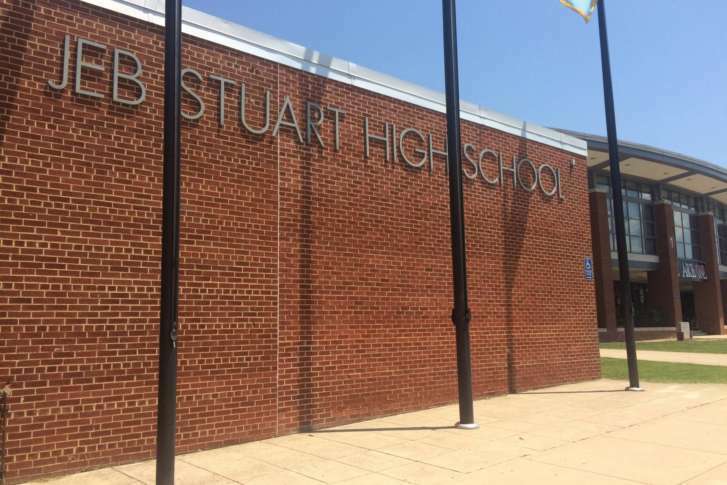 Stuart High School in Fairfax County on Oct. 26. The community in the school’s zone voted for their top three choices from a list on Sept. 16. Seventy-three names were suggested and 932 households voted. Louis G. (Gonzaga) Mendez Jr. The board will discuss the recommendations during a work session on Oct. 16. According to the school board’s website it could cost $800,620 for a complete name change or $512,572 for just changing the name Stuart. J.E.B. Stuart High School was founded in 1959 and named after Confederate officer James Ewell Brown Stuart. Efforts to rename the school started over two years ago but gained steam after a policy change in 2015 that gives the school board the ability to rename a school if there is a compelling need. Hollywood producer Bruce Cohen and actress Julianne Moore even launched a petition to change the name. Both attended the high school. Last July, the school board approved a measure to change the school’s name.